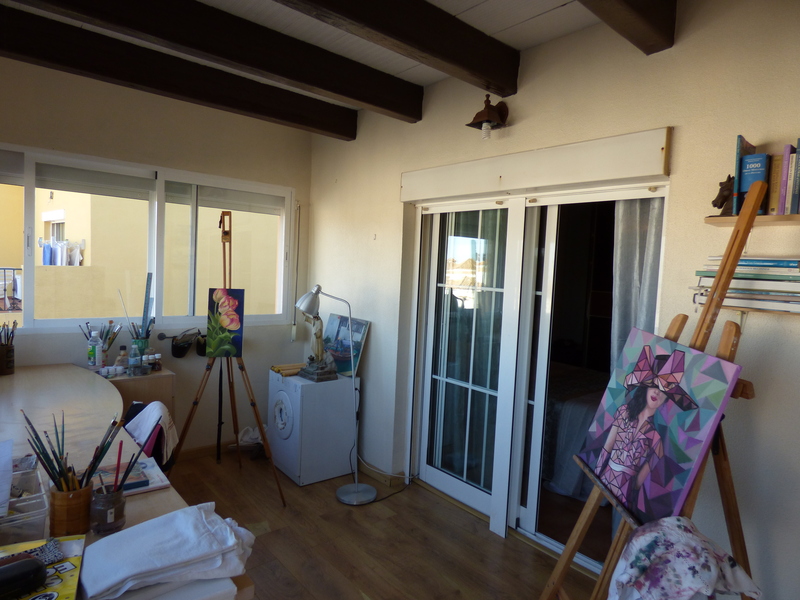 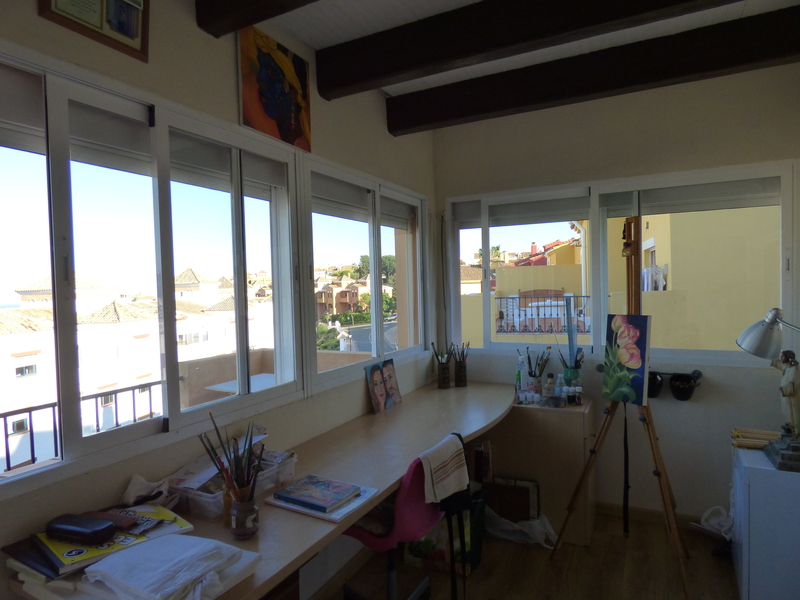 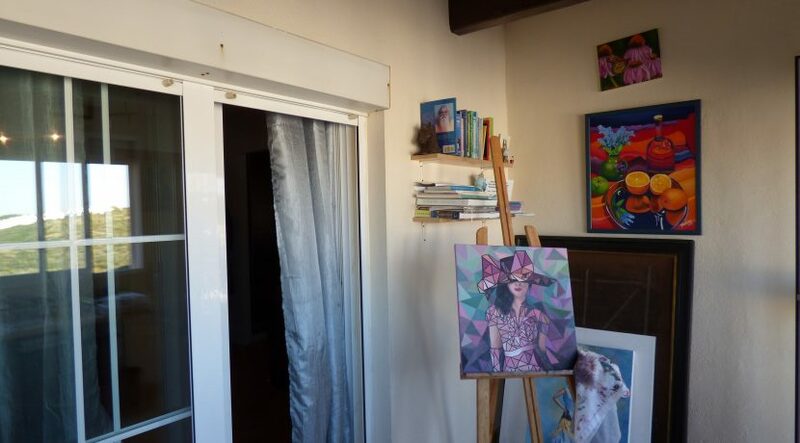 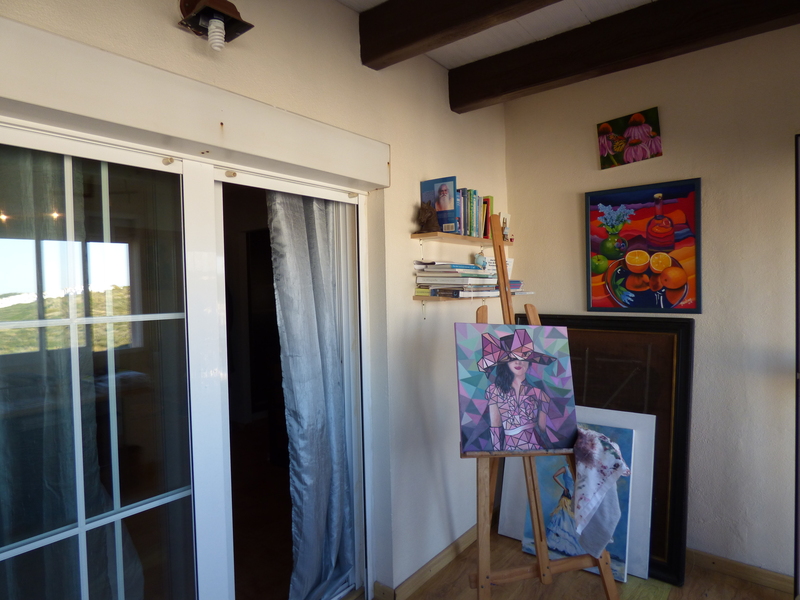 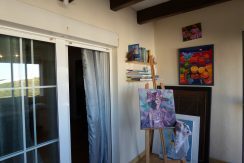 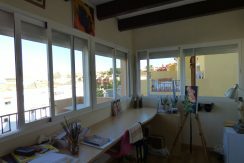 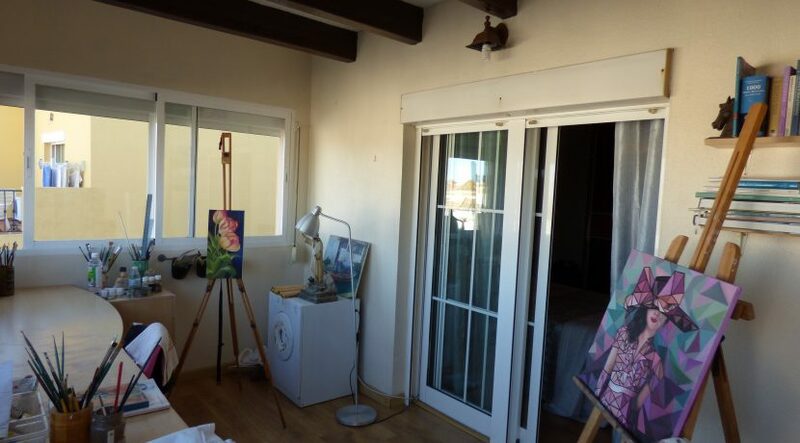 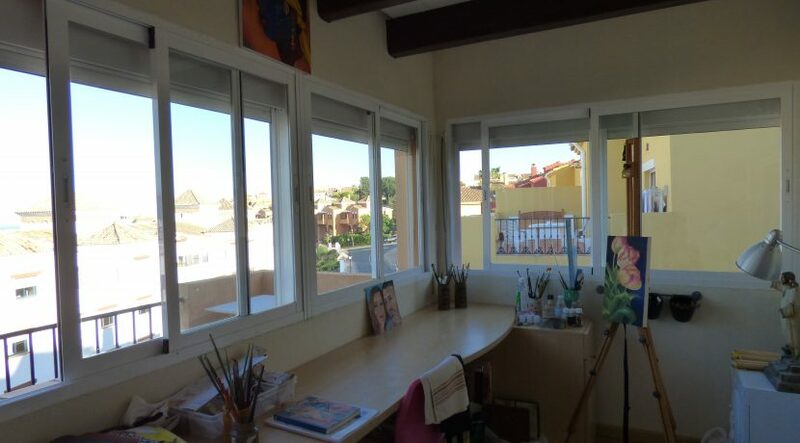 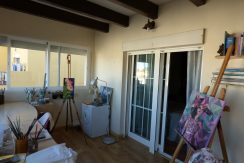 The owners created a painting studio on the top terrace with brilliant views to the Mediterranean. 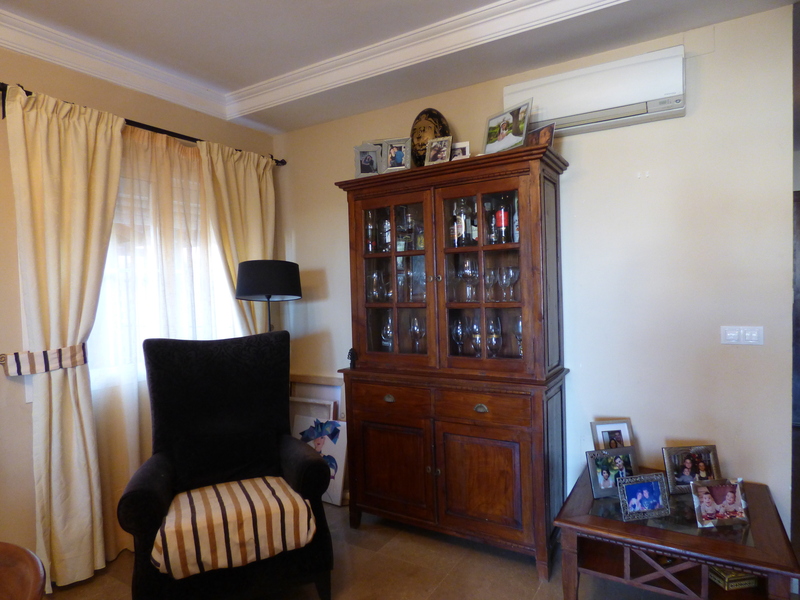 The house has air conditioning through out the whole house, hot and cold. 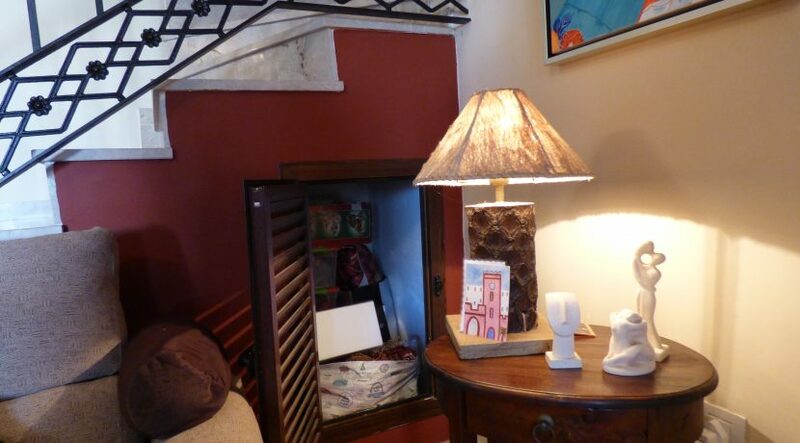 There a good closed fire place which gives warmth throughout the cold and wet days (which we rarely have by the way). 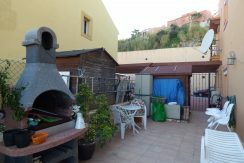 The complete house has guttering installed just in case it rains (again it doesn’t rain that often, but still very good to have). 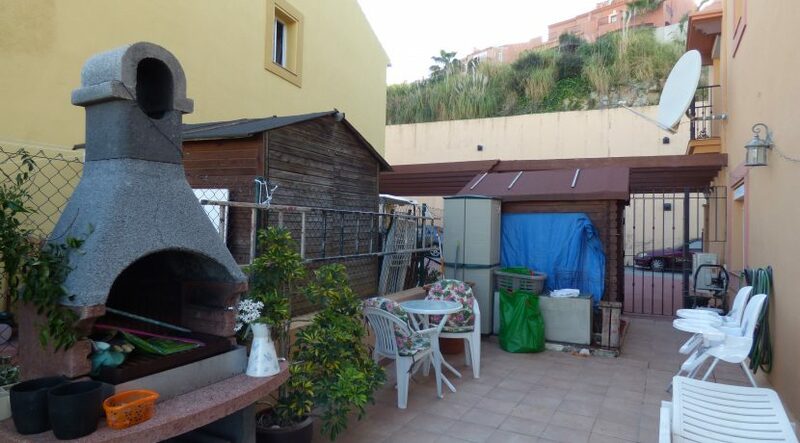 They built a little garden house for garden materials. 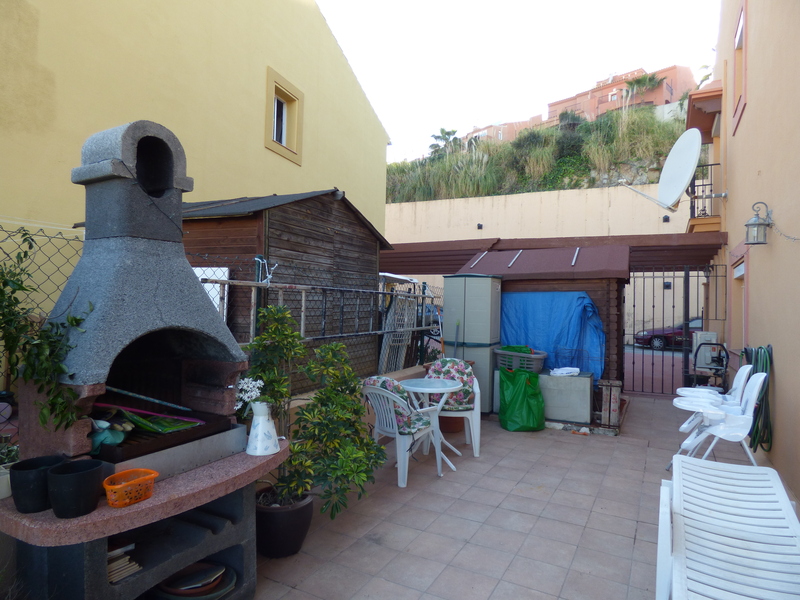 There is a good sized BBQ for family dinners. 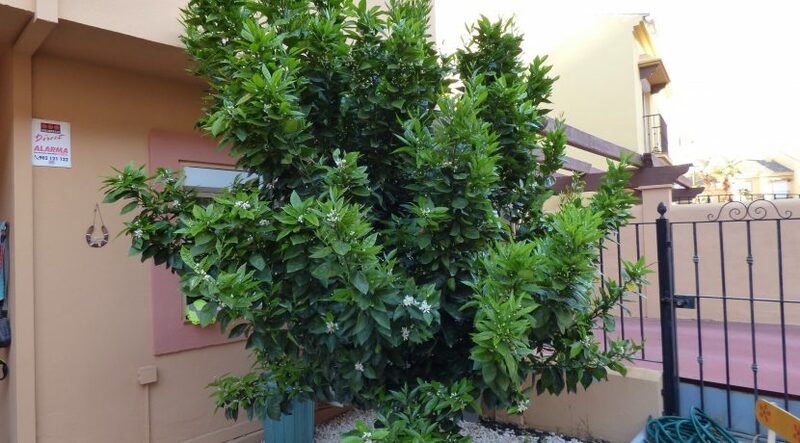 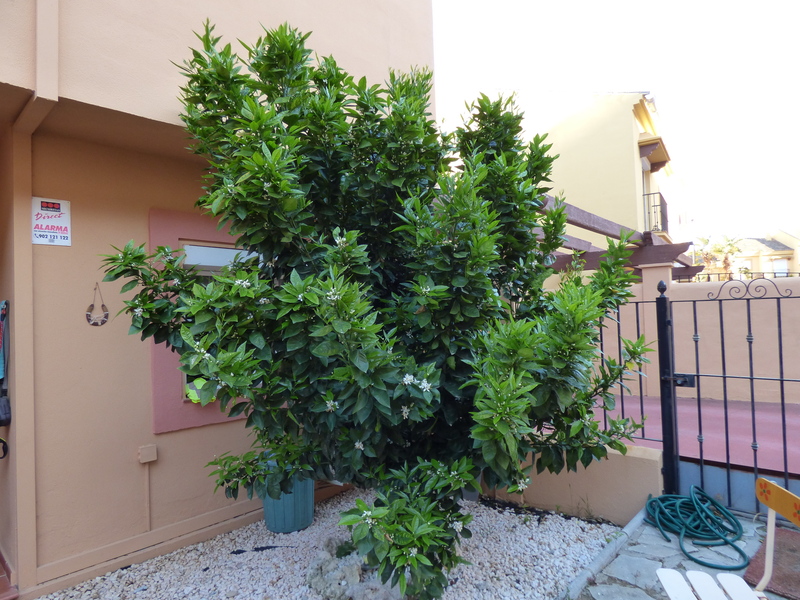 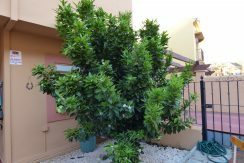 I mentioned the fruit trees already, amongst them a blood orange tree and a lemon tree that gives fruit every month. 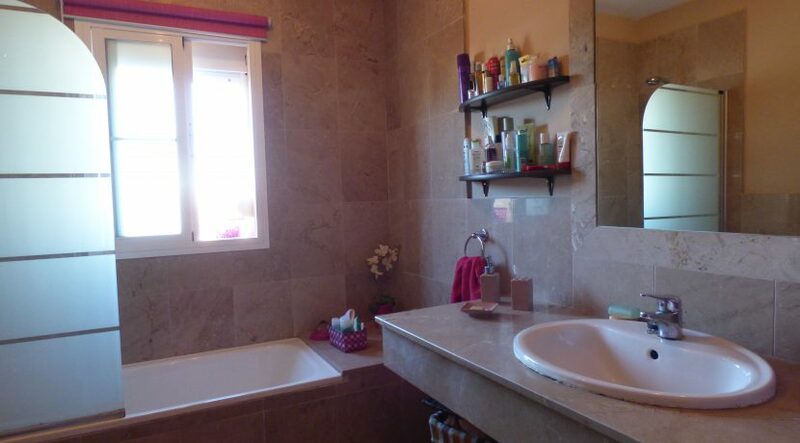 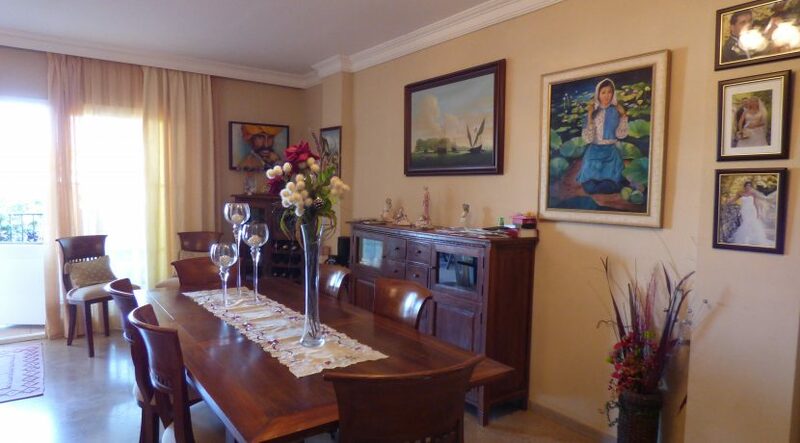 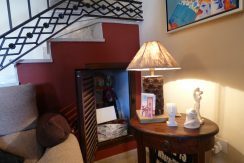 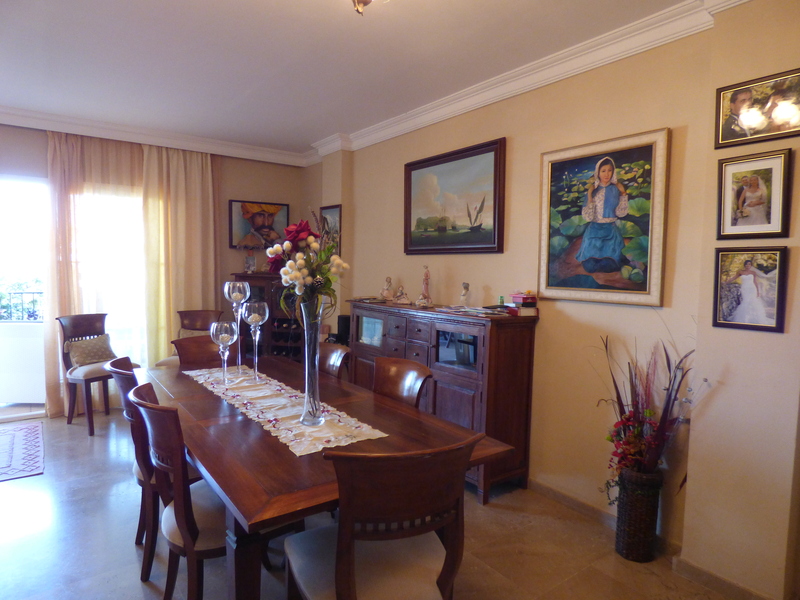 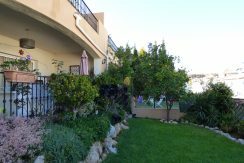 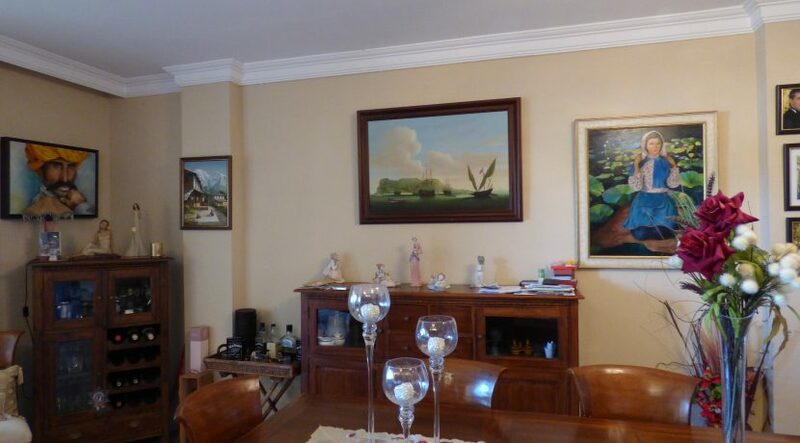 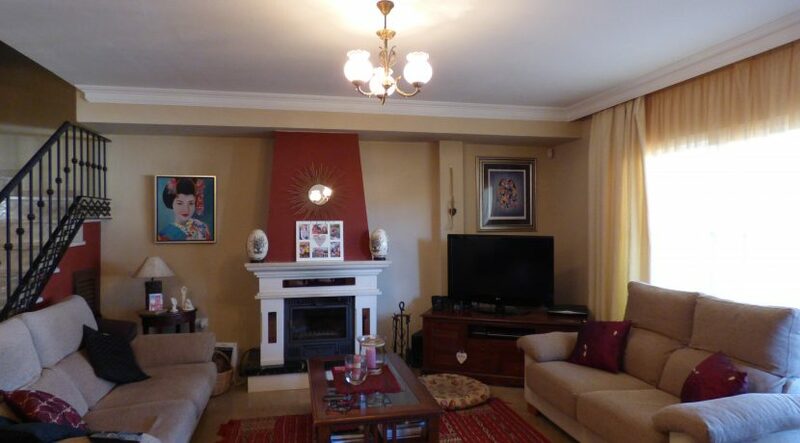 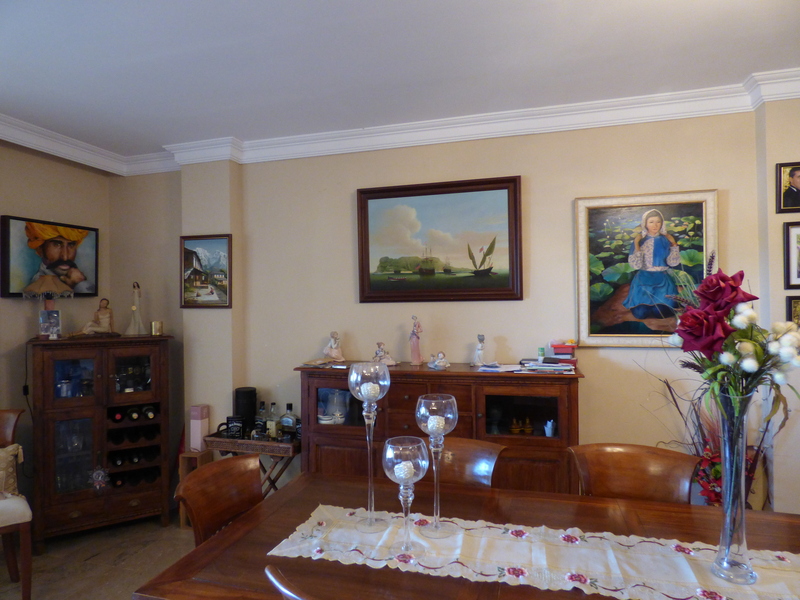 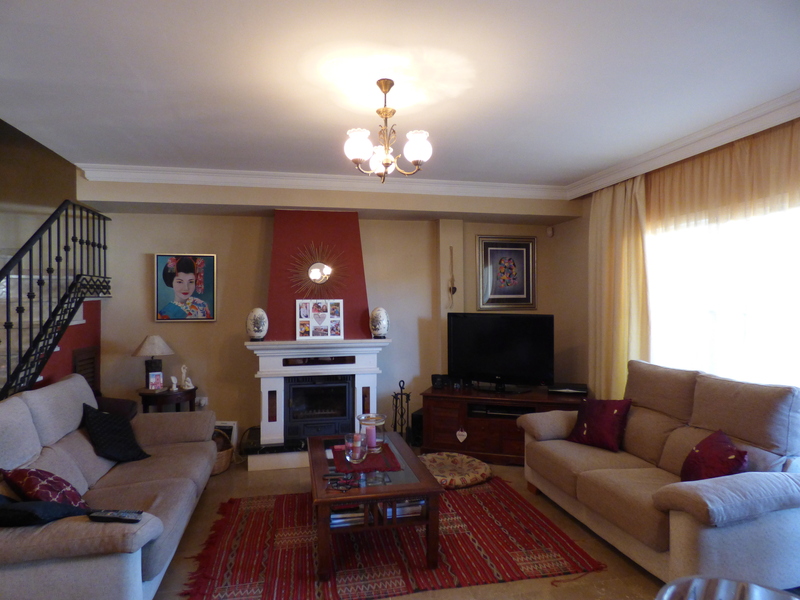 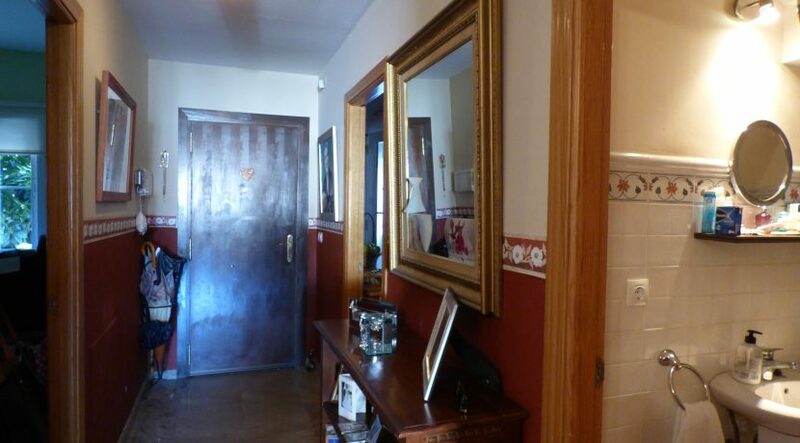 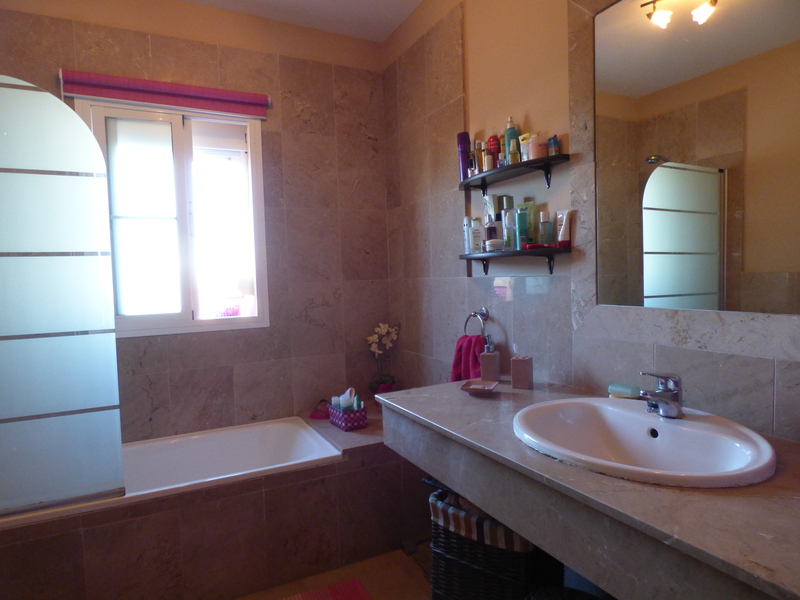 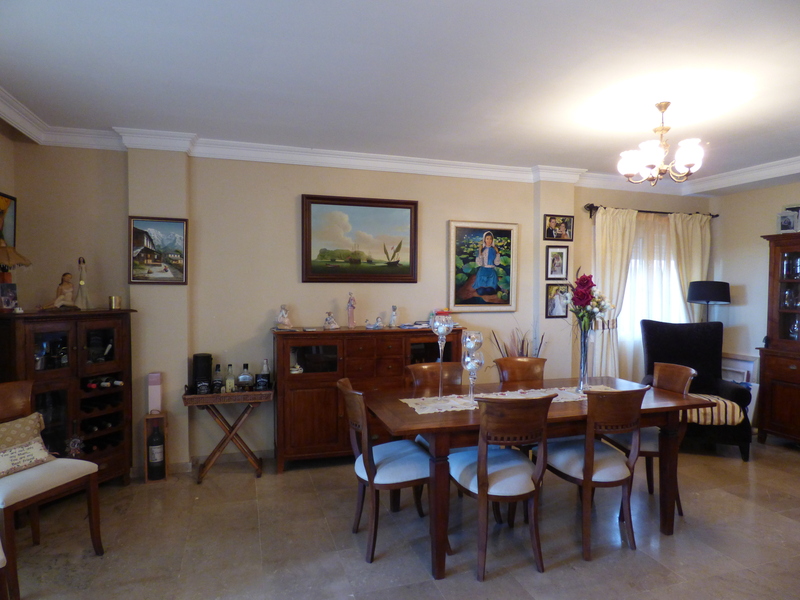 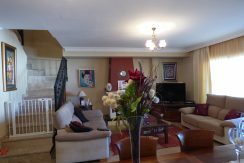 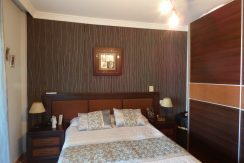 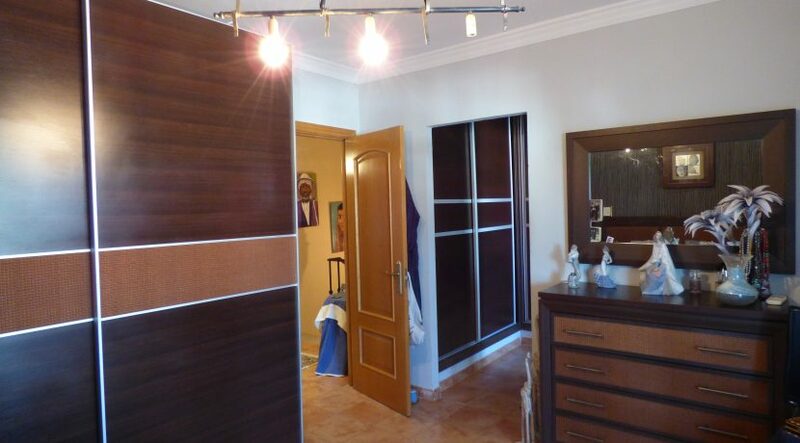 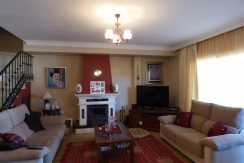 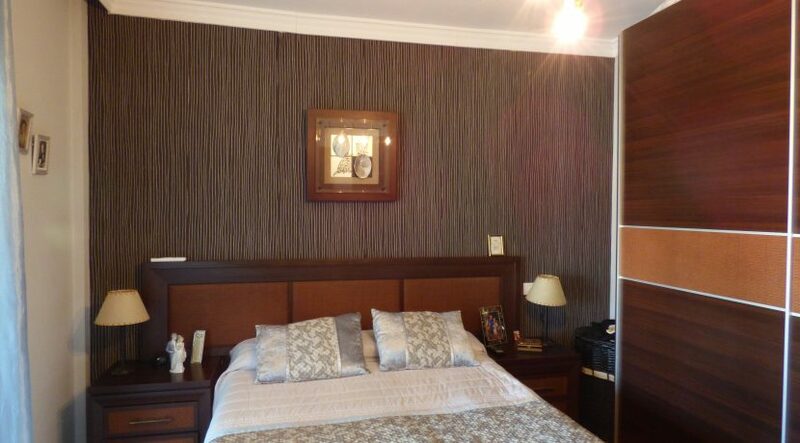 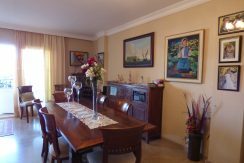 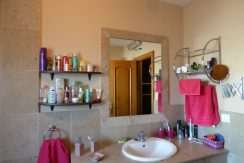 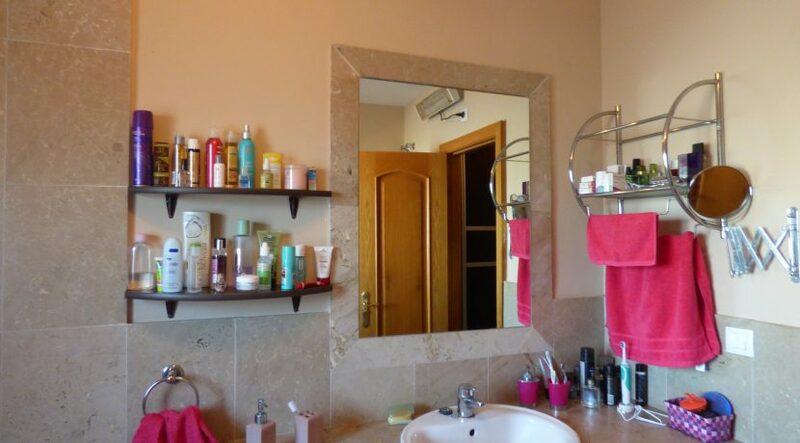 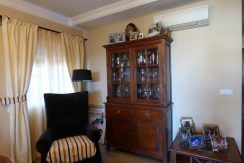 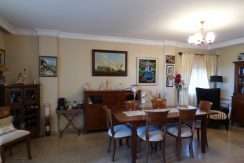 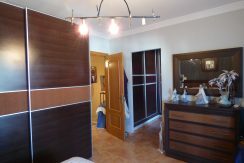 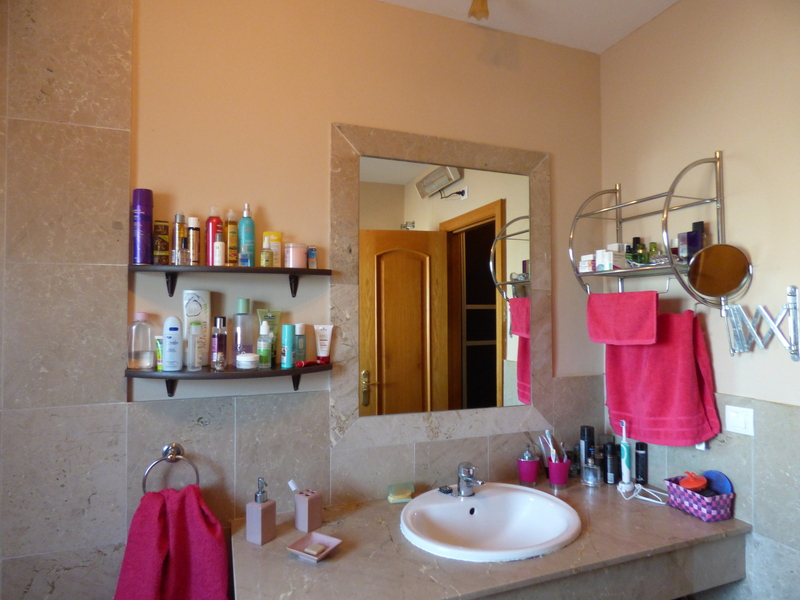 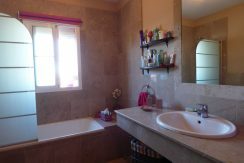 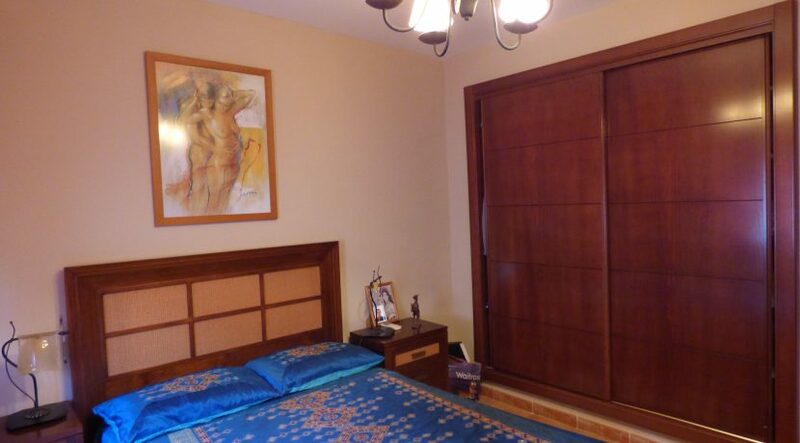 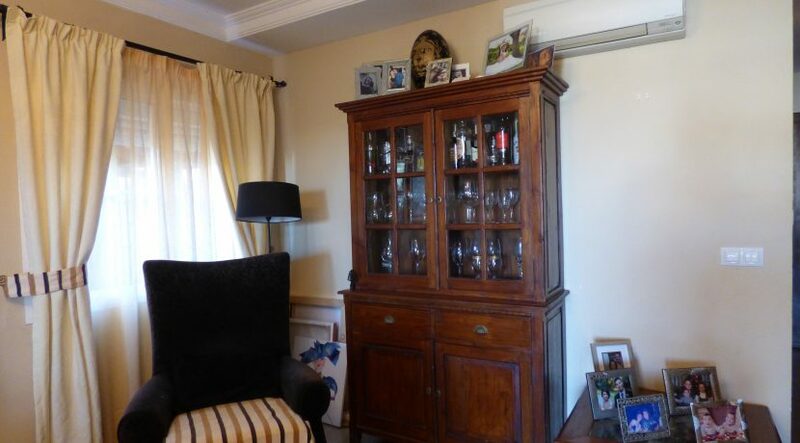 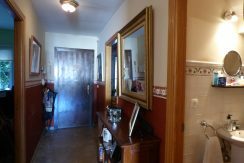 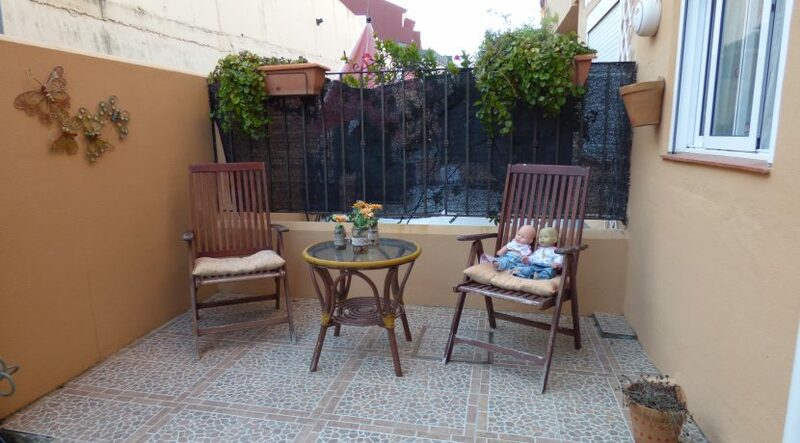 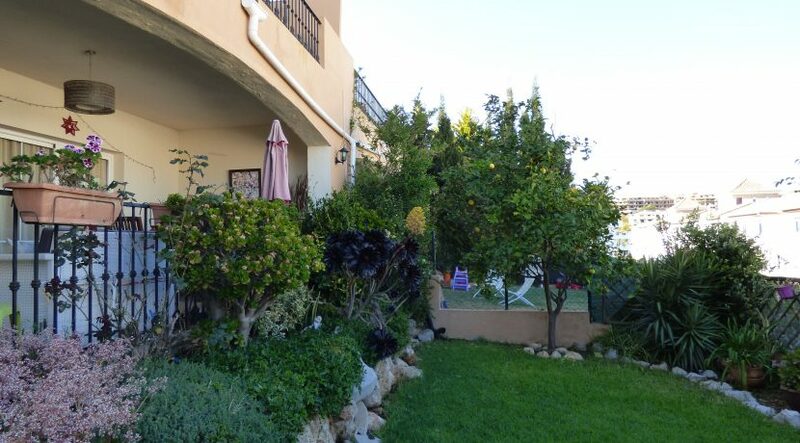 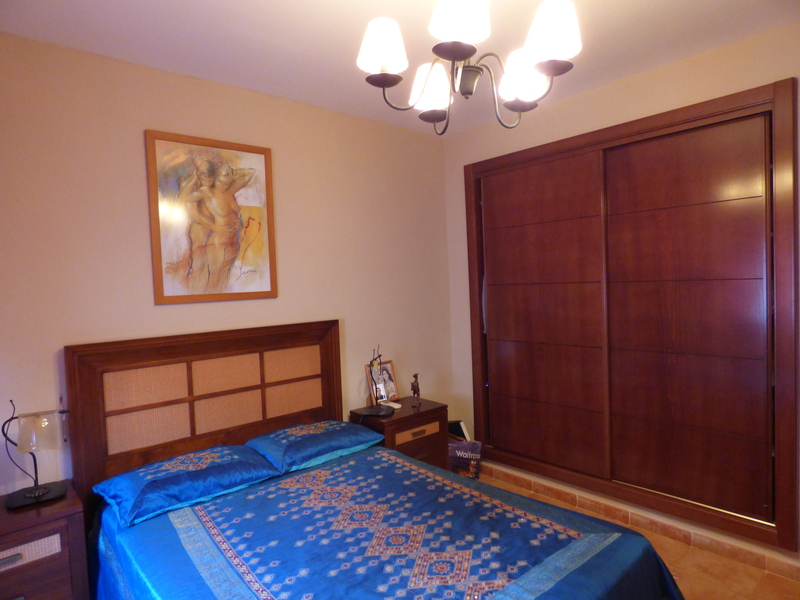 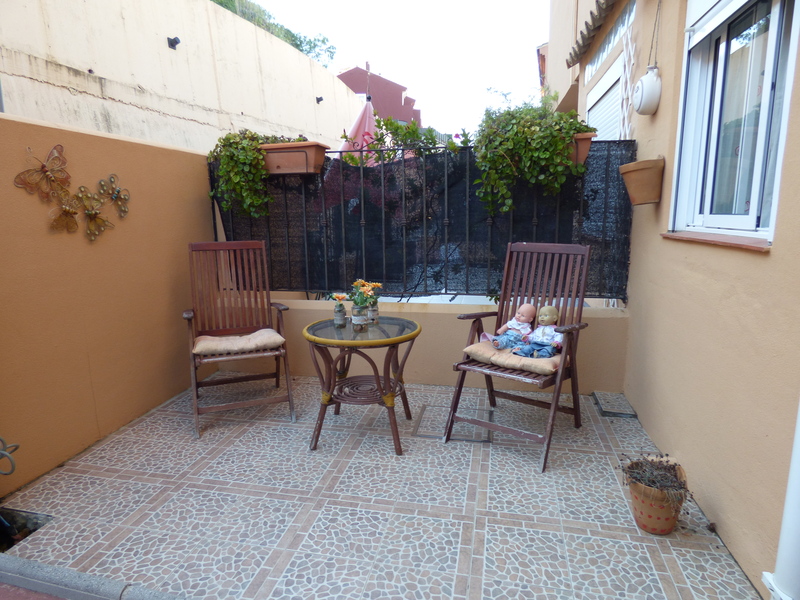 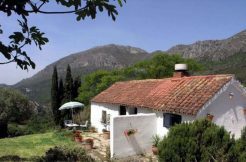 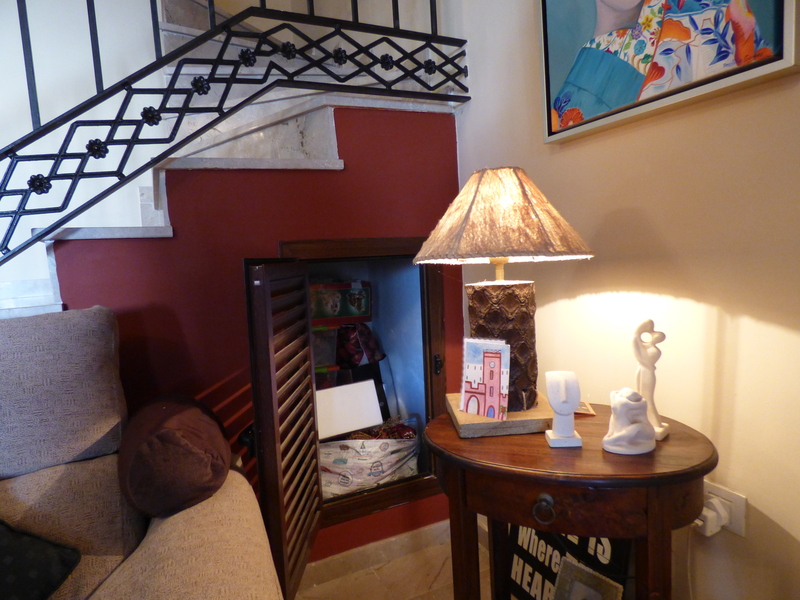 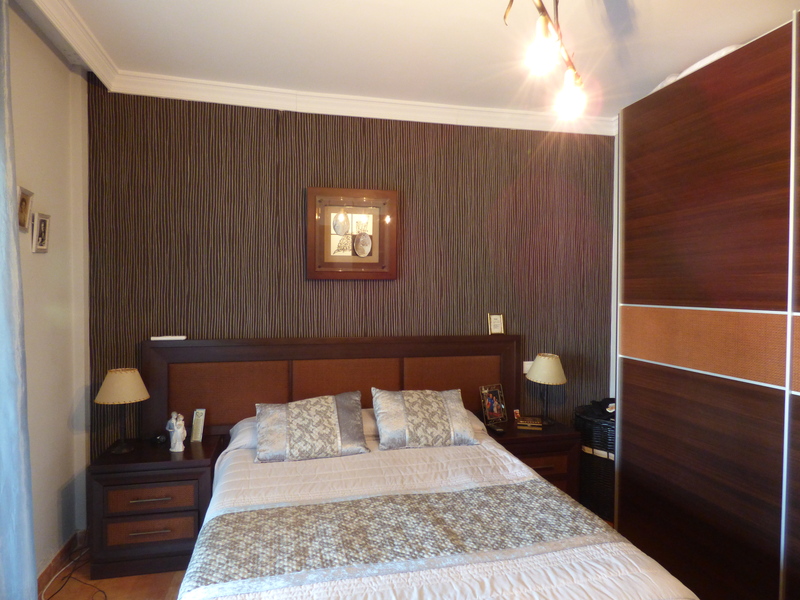 The property is perfect for a young family, as well as Alcaidesa is. 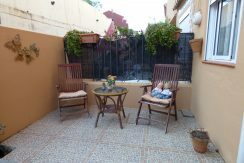 Alcaidesa gets more and more amenities which families will appreciate and the property is a short walk away from these amenities and the park with its children play ground and part for the dogs. 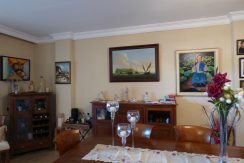 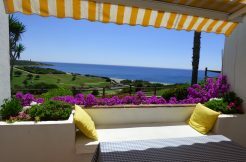 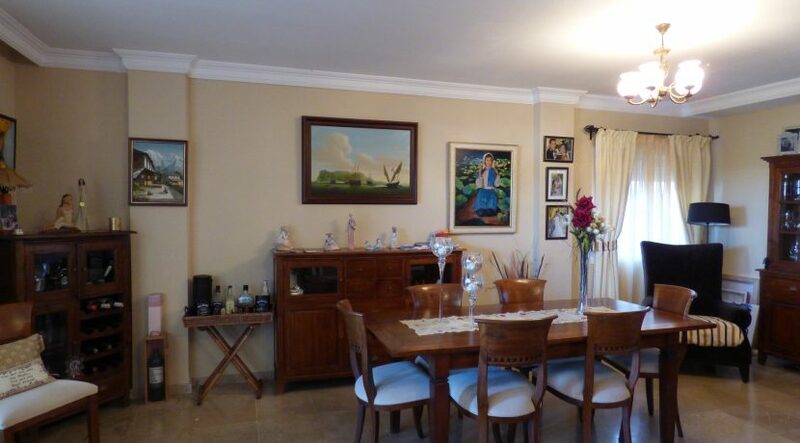 Rustic country property with 3 houses in Casares with huge plot! 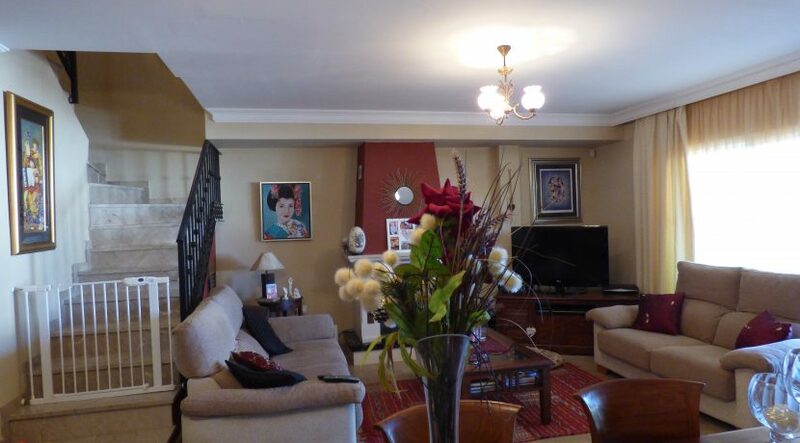 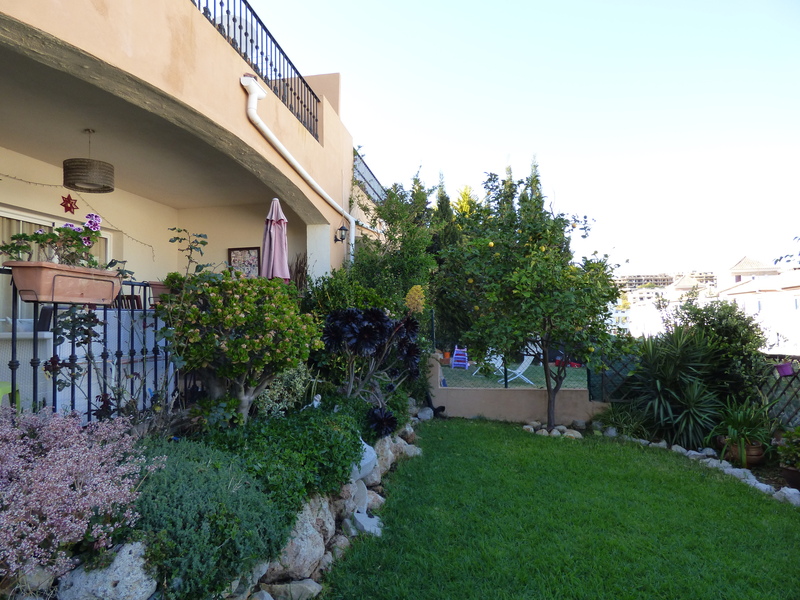 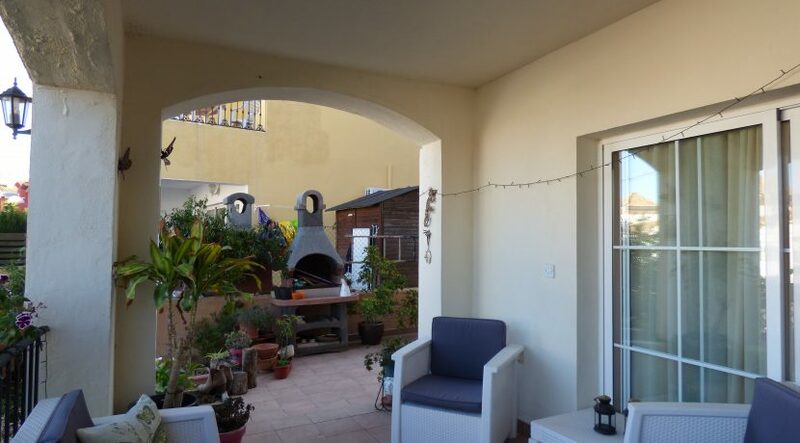 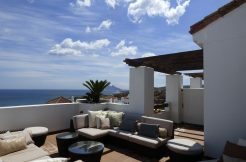 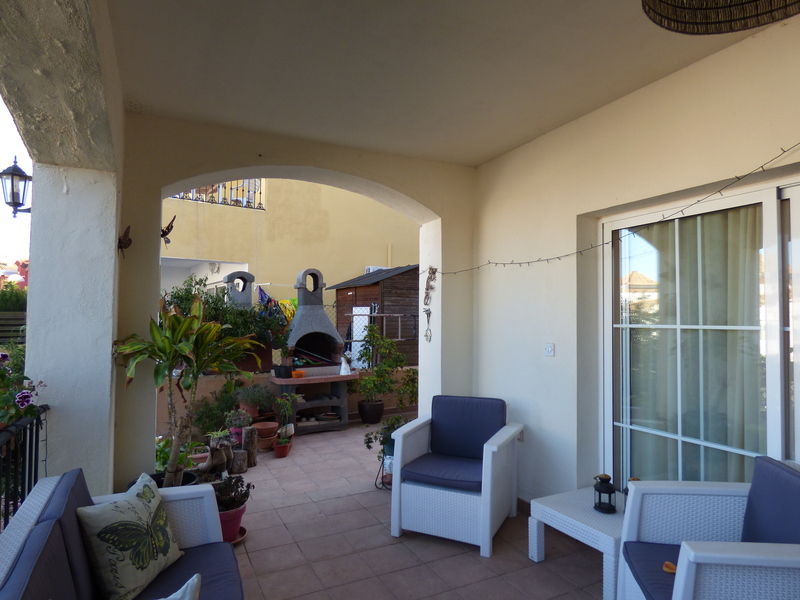 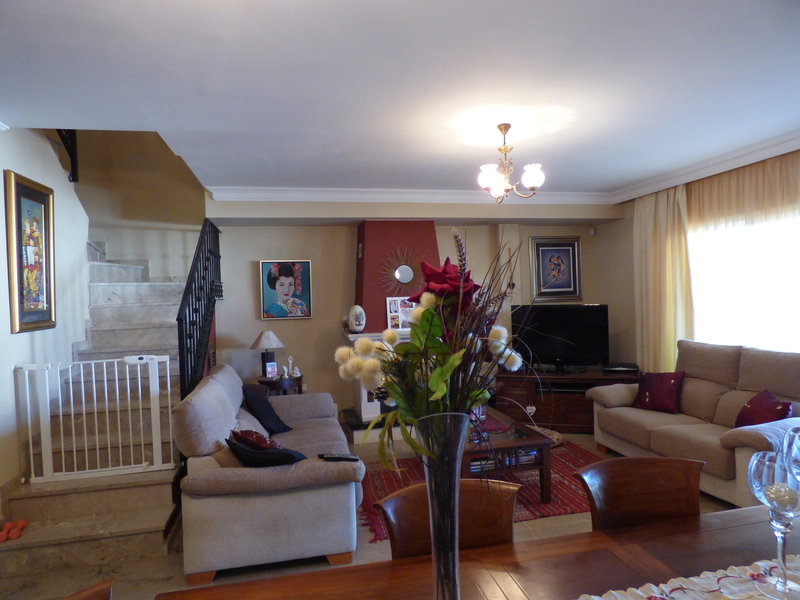 Beautiful penthouse with three bedrooms and fantastic view on Gibraltar! 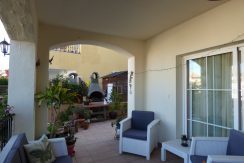 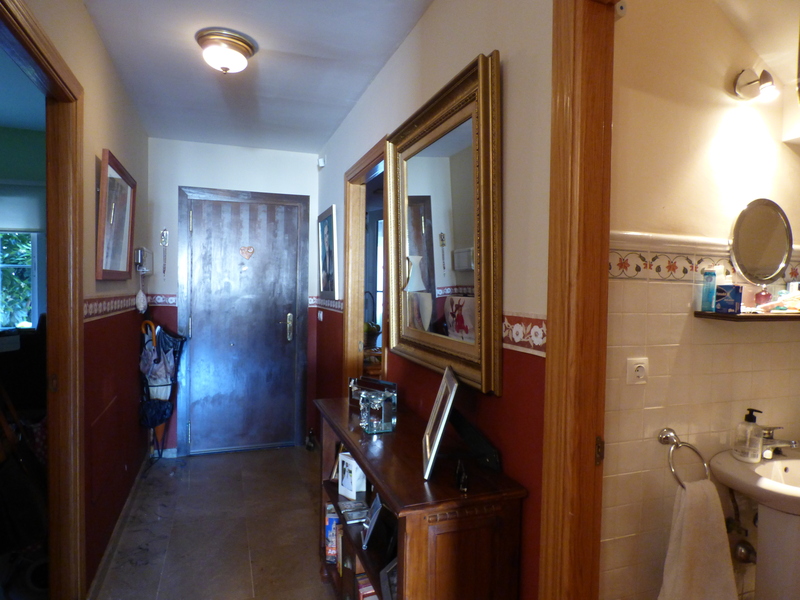 Beautiful townhouse with three bedrooms, first line beach and golf!